Good morning and welcome to Issue #32 of The Bootleggers Buzz! It’s been a week with, how to name this... action?! Obama is defeating sir Romney, Greece is still in need of money/time and in The Netherlands there was a party, named Project X, which totally got out of hand. A girl who became sixteen created an event on Facebook, but accidently she made it public. More than 20,000 persons went to her town and this resulted in one major catastrophe. Owh and before we forget, there was also some action on Bootleggers! More than 200 accounts got killed and quite a lot crews got dropped. All we can say at The Buzz Team is; thank you. Finally we had something to write about! Although, one thing has to be said before we go to the content of the week. 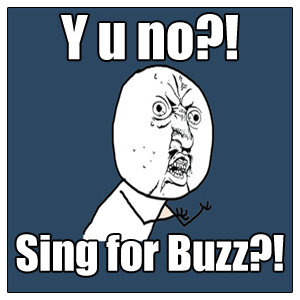 Are you aware that almost the whole Buzz Team got killed this week?! The action started Monday, with the wipe of Gangsters Sanctuary. The shooters were also able to kill a few accounts of The Senate, but the crew survived. The next day, the action continued with the wipe of Axteze and Vindicta. Again, two well-known crews were killed. And that wasn’t the end of the action. A few days later The Senate got dropped by a shooter of Axteze. That’s all? No, we forgot to mention that Xian Guards were shot. A lot shootings this week and we got it covered, just for you! We also have some articles which aren’t related to death, pain and bullets. Voluns wrote an amazing article about giveaways in the Off Topic Forum, we have a new Meet The Buzz Team and Sky also wanted to contribute with a new rule! And now, the moment were all readers are waiting for; the winner of The Voice of Bootleggers! Let’s announce it already; there’s no winner. Unfortunately we only received one entry. Does that mean the giveaway is over?! Correct, The Voice of Bootleggers is over, but we have a new giveaway for you! This time you won’t have to sing a song, but write a song! You can find more information in the article about this giveaway! And that’s the content of the week! It’s an amazing Issue, created by an amazing team. I can’t thank them enough! 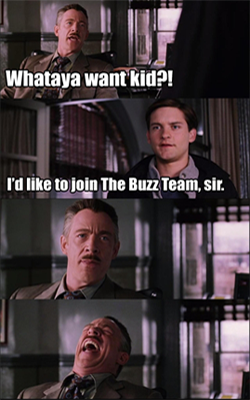 We’re always looking for new writers, so feel free to send in an application for The Bootleggers Buzz. You will definitely not regret it! Enjoy the Issue and have a good Sunday! Roses are red, lotuses are white, right?! Gangsters Sanctuary wiped by Most Wanted! Xian Guards? Coscas Origins? Gun shots? What happened? Every week Sky will introduce a new, unofficial, rule. What is it this week?! Give aways in the off topic forum, with as prize; a scam. This week sponsored by Afty! On Wednesday the 19th, disaster struck for a well-known crew. Another give away or a new give away? A short but great interview this week! The Weekly Flash is back? !